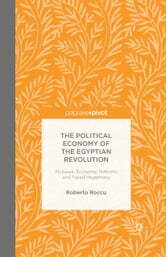 While the 2011 Egyptian revolution has already become the subject of much debate, the roots of the socio-economic context which made the revolution possible have seldom been explored. Roberto Roccu addresses this gap and in doing this provides the first detailed study of the deeper causes of the Egyptian revolution. Relying on an innovative understanding of Antonio Gramsci's thought, He argues that economic reforms implemented since the late 1980s provided the conditions for both the emergence of a capitalist oligarchy within the regime and an unprecedented rise in socio-economic inequality in society at large. These two processes substantially eroded any remnants of hegemony, leaving the Mubarak regime ill-equipped to face the global economic crisis. By alienating sections of the ruling bloc while impoverishing vast strata of the population, neoliberal reforms provided a necessary, although by no means sufficient, condition for the Egyptian revolution to occur.